Of course they do! 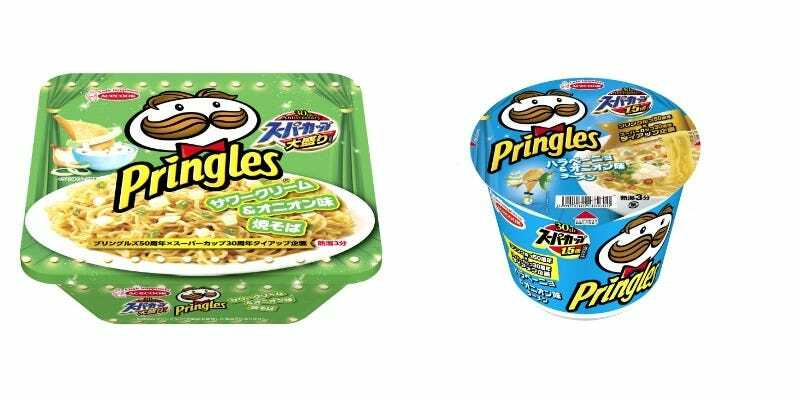 This month, Pringles Sour Cream and Onion flavored fried noodles and Pringles Jalapeño and Onion ramen will go on sale in Japan. Pringles is teaming up with instant noodle maker Acecook to make this happen. If that wasn’t enough (it’s not, I guess! ), chicken-bone soy sauce flavored ramen Pringles and squid fried noodle flavored Pringles will also go on sale. All will be available for a limited time only. You Aren&apos;t Looking at Ramen. This Is "Ramen Cake."